​Providing Hope, Inspiration and Independence for people with disabilities. 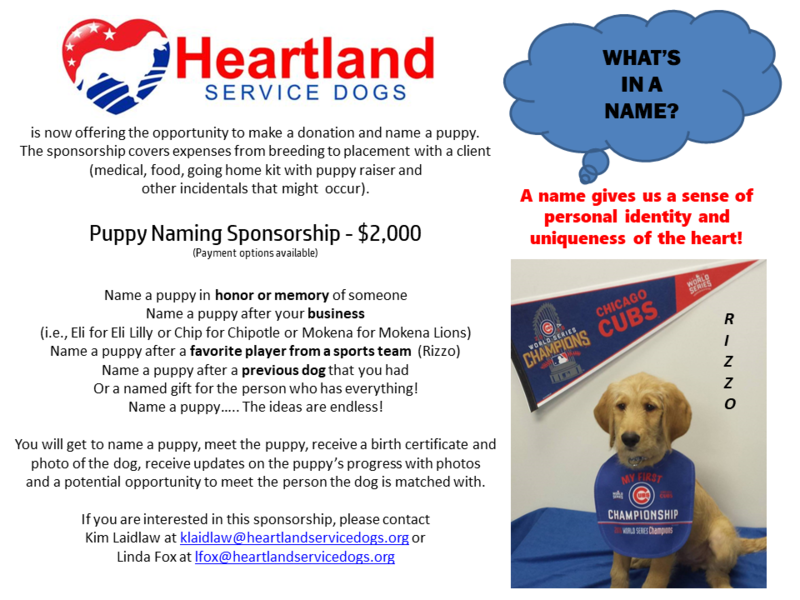 ​Heartland Service Dogs is a non-profit organization that provides specially trained dogs for adults and children with mobility needs, hearing impairment, diabetes, PTSD, and other disabilities. ​Our goal is to bring hope, inspiration, and independence to individuals in Illinois and the surrounding area with our custom-trained service dogs. Some of the tasks these dogs might be required to perform are turning on lights, opening drawers, retrieving objects, alerting to alarms, buzzers, phone rings, alerting to low/high blood sugar, and much more.